Chain Tools supplied by Krislynn Cycle and Fitness. 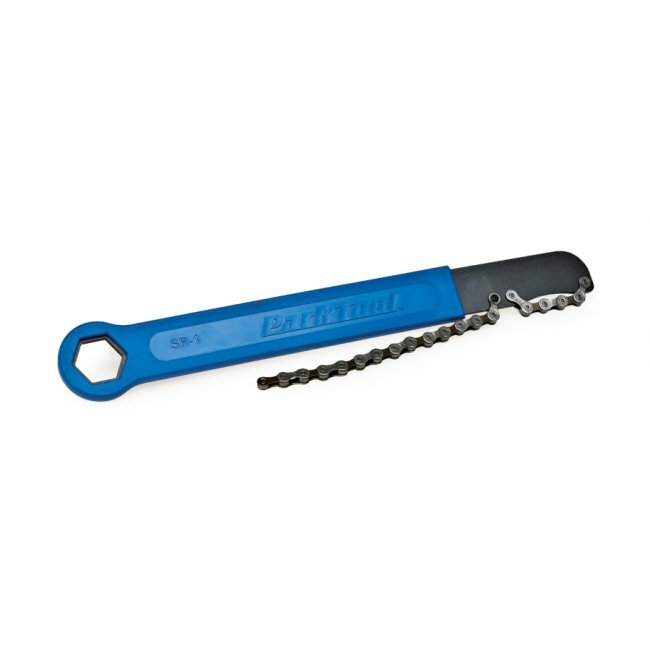 The SR-12 Park Tool Chain Whip Freewheel Sprocket Remover is a combination of lock ring/freewheel remover wrench and a chain whip. The tool has been heat-treated to avoid flexing and bending. It also has a molded handle for additional comfort. This tool will work on 5 - 12 speed freewheels and cassettes. 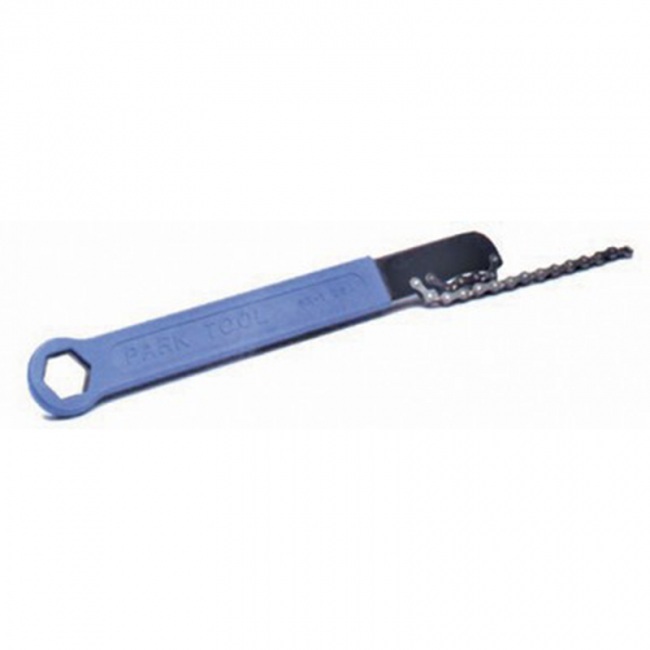 The 1" box end wrench (25.4 mm) will fit the lock ring tool also made by Park Tool. It has pins that are hardened to make sure the chain won't move.